Since then I've been working with a few other people, most notably Robert Underwood, David Atienza and Carlos Madrid on pushing for the development of a commission that can organize Guam's own events around this commemoration and also work with other countries that are planning to visit Guam. When I traveled to Spain for their conference, I was frustrated at the fact that since Guam was a territory of the US, I couldn't work directly with any of the government officials I met. They all seemed to think it would be more appropriate if the US State Department or US military worked with them, since Guam and Spain have no direct formal diplomatic relationship. This commission would be a means to hopefully get around our colonial status and insist that we can participate in the planning for any commemoration that takes place in Guam and also elsewhere. Last year and also last month I testified in support of the bill at the Guam Legislature. I'm hopeful that it will be passed and that we can get started on this work. The first and only time that Magellan visited Guam he gave us the name Ladrones, which stuck for centuries. The world will turn its attention to Guam in March 2021 whether we like it or not. Media and dignitaries will visit and tell their own stories about the greatness of their countries. Spain and Portugal in particular will use the moment to talk about the greatness of their navigators and reminisce about the former glory of their empires. We can use that moment to make sure our story, the Chamoru story, the Guam story is told. We can make sure that another Ladrone moment doesn't happen. And by doing so we can find another way to act independent, to act sovereign by forming partnerships and connections to other countries, even if, as a territory, it isn't supposed to be allow. I pasted below a list of 10 little known facts about Magellan from the website History.com. Banidosu yu' na bei sångan na esta hu tungo' todu este şıha, ya guaha otro mas ti matungo' na fåkto kinu este siha. Explore 10 little-known aspects of one of naval history’s most legendary—and deadly—voyages. 1. Magellan’s expedition had a multinational crew. 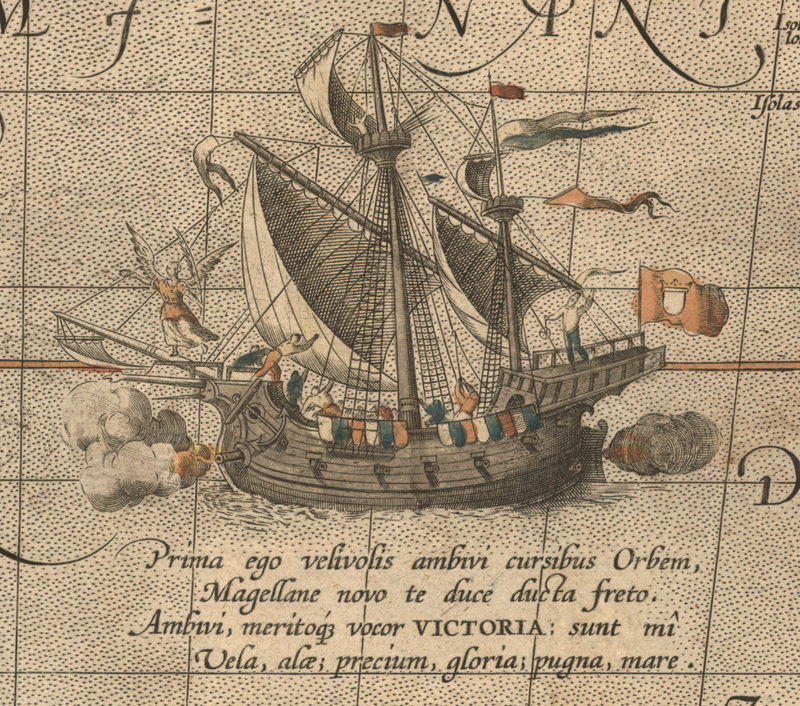 Although it was a Spanish expedition, Magellan’s fleet featured a culturally diverse crew. Spaniards and Portuguese made up the vast majority of the sailors, but the voyage also included mariners from Greece, Sicily, England, France, Germany and even North Africa. 2. 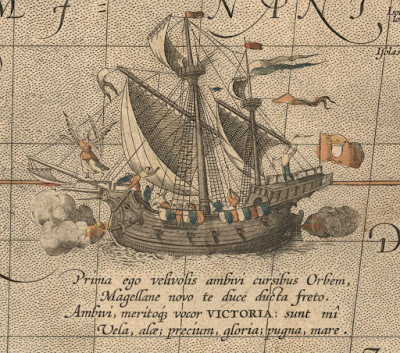 Magellan’s voyage was sparked by a treaty between Spain and Portugal. Magellan originally launched his expedition as a means of finding a western route to the Moluccas, a small archipelago in Indonesia known for its stores of precious spices like cloves, cinnamon and nutmeg. The Spanish were desperate to discover this alternate path because of 1494’s Treaty of Tordesillas, a decree from Pope Alexander VI that had essentially divided the world in half between the Spanish and the Portuguese. This agreement placed the more practical eastern route to the Spice Islands under Portuguese control, forcing the Spanish to find a new passage by sailing west around South America. 3. Magellan was considered a traitor to his home country of Portugal. While Ferdinand Magellan was originally from Portugal, King Charles I of Spain ultimately sponsored his voyage. This outraged the King Manuel I of Portugal, who sent operatives to disrupt Magellan’s preparations, ordered that his family properties be vandalized and may have made an attempt to assassinate him. Once the expedition sailed, Manuel I even ordered two groups of Portuguese caravels to pursue Magellan’s fleet in the hopes of capturing the navigator and returning him to his homeland in chains. 4. Many of Magellan’s crew mutinied or deserted the expedition. Magellan’s mostly Spanish crew resented the idea of being led by a Portuguese captain, and the expedition was forced to weather two mutinies before it had even reached the Pacific. The first of these failed revolts was easily unraveled, but the second proved more elaborate. Worried that Magellan’s obsession with finding passage to the Pacific was going to doom the expedition, in April 1520 three of his five ships turned against him. Magellan and his supporters ultimately thwarted the revolt, and he even marooned two men on an island when he found they were planning a third mutiny. The rebellions continued later that year when the vessel San Antonio deserted the fleet and prematurely returned to Spain. 5. Magellan’s expedition claimed to have encountered giants in South America. While anchored near modern-day Argentina, Magellan’s men reported encountering 8-foot-tall men on the beaches of Patagonia. After befriending these “giants,” Magellan supposedly tricked them into boarding his ship and took one of the men captive. The giant was later baptized and named Paul, but died during the fleet’s long crossing of the Pacific Ocean. Historians have surmised that Magellan’s giants were in actuality members of the Tehuelche, a naturally tall tribe of Indians native to southern Chile and Argentina. While Magellan’s men almost certainly exaggerated the height of the Tehuelche, the myth of Patagonian giants would persist for many years. 6. Magellan gave the Pacific Ocean its name. After weathering horrific storms near southern South America and losing one of his ships to rough seas, Magellan finally entered what is now known as the Strait of Magellan in November 1520. Crossing into a calm and gentle ocean, he named it “Mar Pacifico,” which means “peaceful sea” in Portuguese. Magellan believed that he would quickly reach the Spice Islands, but his beleaguered fleet would sail the Pacific Ocean for 98 days before reaching any habitable land. 7. Magellan was a staunch Christian evangelist—and this may have cost him his life. Although it was never an official part of his mission, Magellan took great pains to convert all the indigenous peoples he encountered to Christianity. The most notable example came in April 1521 in the Philippines, where he baptized King Humabon of Cebu along with thousands of his subjects. Magellan’s religious fervor was so strong that he threatened to kill those chieftains that resisted converting to Christianity, and this harsh decree ultimately proved to be his downfall. When a king named Lapu-Lapu refused to convert, Magellan’s men burned his village on the island of Mactan. Magellan later returned to Mactan with 49 men and demanded that Lapu-Lapu yield to his authority. The king refused, and in the ensuing battle Magellan was killed after he was struck by a spear and then repeatedly stabbed by the islanders’ cutlasses and scimitars. In the Philippines, where Magellan is remembered as a tyrant rather than a hero, the Battle of Mactan is reenacted every April 27, with a well-known Filipino actor playing the role of Lapu-Lapu. 8. Magellan’s slave may have been the first person to truly circumnavigate the globe. One of the most important members of Magellan’s voyage was his personal slave Enrique, who had been with the captain since an earlier voyage to Malacca in 1511. A native of the East Indies, Enrique reportedly spoke a Malay dialect and acted as the expedition’s interpreter during their time in the Philippines. As many historians have noted, if Enrique was originally from that part of the world, then by the time the expedition reached the Philippines he would have already circled the earth and returned to his homeland. If true, this would mean the slave Enrique—rather than any of the European mariners—was the first person to circumnavigate the globe. 9. Magellan only deserves partial credit for the circumnavigation. Magellan is often cited as the first explorer to have circumnavigated the globe, but this is not technically true. While he organized the voyage and negotiated the treacherous South American strait and the crossing of the Pacific, Magellan was killed before the mission ever reached the Spice Islands. Credit for the successful circumnavigation of the globe should also go to the Basque mariner Juan Sebastian Elcano, who commanded the return voyage of Victoria—the only surviving vessel—from late 1521 until its arrival in Spain in September 1522. 10. The next circumnavigation of the globe took place nearly 60 years after the return of Magellan’s expedition. When the lone vessel Victoria returned to Spain in September 1522, only 18 men remained out of the expedition’s original crew of about 260. Circumnavigating the globe ultimately proved to be such a herculean feat—and the Magellan expedition’s success so improbable—that it was 58 years before it was repeated. Led by the English navigator Sir Francis Drake, this second circumnavigation of the globe first sailed in 1577 and largely followed the same route as Magellan. Like Magellan’s armada, Drake’s fleet was also ravaged by the long journey, and only his flagship Golden Hind remained when he returned to England in 1580.